On Thursday March 12th, more than 50 NFL coaches, scouts, and general managers gathered at the Moshofsky Center in Eugene, OR, for Oregon’s pro day. The biggest prospect that had teams within the top ten of the upcoming 2015 NFL Draft was dual-threat quarterback Marcus Mariota, who essentially took most of his snaps under center from C Hroniss Grasu. Both were an interesting sight to see together as media and Duck fans have never seen the pair snap from that position before. Among other players that were present included LB Tony Washington, S Erick Dargan, CB Troy Hill, OL Hamani Stevens, RB Kenny Bassett, WR Keanon Lowe, and OT Jake Fisher. Fellow sports writer/reporter of FishDuck.com, Caleb Couturie, had the opportunity to catch-up with Grasu at Oregon’s pro day and discuss how his training has been the last couple months leading up to this event and how he performed overall on Thursday. Grasu cooling off after doing a series of drills for NFL scouts. Due to rehabilitating his ankle, Grasu was unable to participate in the 2015 NFL Combine. However, when asked about his performance at Thursday’s event, he felt that he was able to “go out there and do my thing and was able to showcase my talents.” There’s no doubt that this guy is among the top offensive line prospects in the upcoming draft and it’s certain that some teams are going to be in need of his services. The only concerns that these teams had with Grasu, according to him, is whether he’s able to plant his injured ankle and move and block sufficiently. 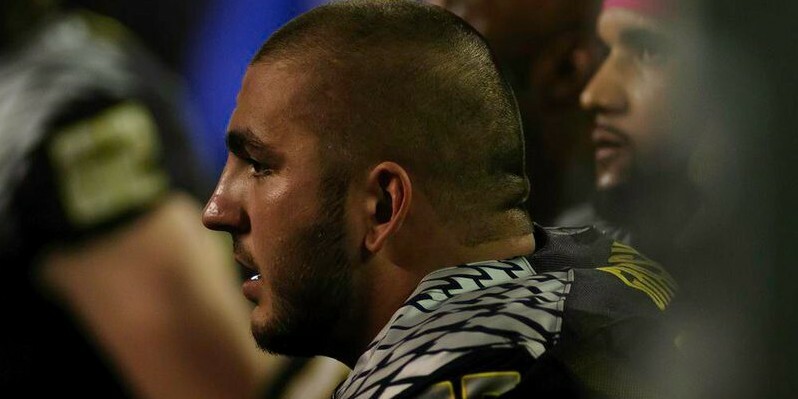 With a little more than a month left, Grasu and other Duck players entering the 2015 NFL Draft will continue their training by virtue of displaying their skills to personnel of NFL teams. Although Mariota is the “big fish” heading into the draft, it’s important that we, as Duck fans, pay close attention to the other Oregon players heading into the draft and hope they’re able to pursue their football careers in the NFL.